In the previous posts of this series, I attempted, in collaboration with Kathy Sexton, to bring forward our definition of the Sub-Tech Eco-System and describe the opportunities and challenges that you have as you consider the optimal technology or set of technologies that can enable your business to excel and meet all of your business goals. 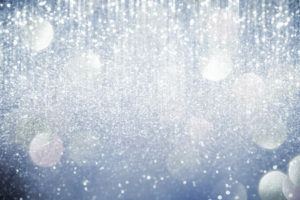 Remember, Glitz and Gloss aren’t what you need. The optimal solution (or set of solutions) matches your business, your business goals, complements the mix of products and content you offer to the market and positions you to grow in a digital economy. This post focuses on a suggested framework and process for how you consider and ultimately select a technology or set of technologies for your subscription business. This framework focuses on the questions you should ask of yourself or the vendors you are considering, brings forward some rules that you should abide by and concludes with documents and activities that are critical to your success. So let’s start with the first set of major questions that you need to ask yourself. Your answers should be documented in some form. They form the basis for your requirements and business needs. The first 5 have been brought forward multiple times across this blog series. I shared I had a drum to beat and I will continue to beat it and stress the importance of the exercise. They represent your critical and necessary starting point to ensure your uniqueness is well understood by you and the vendor community. Question #1 – What is my business? Question #2 – What are my business goals? Question #3 – What are my current technology and process pain points? Question #5 – Can I create the documentation and map that reflects what I seek? Now on to Question 6. Question #6 – What is the budget I am willing to spend? Question 6 represents a significant input into your consideration process and ultimately your selection. As I referenced in the first post, you want to map out not just the initial technology purchase but understand and document what is considered Total Cost of Ownership (TCO). TCO represents the financial and resource commitments you are making in the short and long term. Your financial commitments represent overhead of monetary and personnel expenses. As you most likely already do for overall financial planning, you should indeed calculate inflationary percentages in your projections. You can indeed create some normalcy via contract negotiation ensuring that you experience expected expense increases in the out-years or attempt to hold yearly costs at a flat level. Your success in either depends on the vendor selected and the subscription, direct cost or other models they may use. A subscription or really any business should focus on a 3-year time period (tactically and strategically). Technology is changing quickly and so is the marketplace. Maintaining a set of systems beyond 3 years may not be optimal for remaining competitive in the marketplace. Question #7 – Am I ok with Open Source? 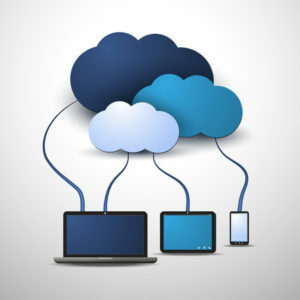 Question #8 – Do I want to live in the cloud? The next set of questions revolves and brings forth your comfort level with different configurations and types of technology solutions. As I suggested during the webinar, living in the cloud doesn’t represent being up in the air. Cloud based solutions simply equate to your instance of software or a platform being located in a data center somewhere else. 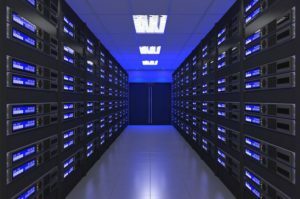 The servers aren’t sitting in a closet in your offices anymore but they remain physically in another location. The suggested way to answer questions 7-8 is to develop a matrix of a couple columns to represent the pros and cons of each tied to your desired business needs and outcomes. 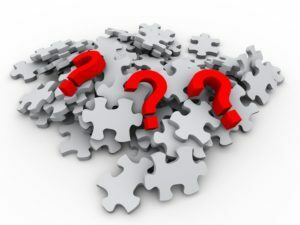 Question #9 – Will my staff adopt the new solutions? We introduce the element of company culture in Question 9 as staff are critical to success and the adoption of the selected technologies. One can secure the best technology solutions but a culture can pull back and prevent you from achieving your objectives. They may fear change, be uncomfortable in how they must now do their work, they may feel the new interfaces don’t reflect how they like to accomplish their tasks or they may simply like most, be apprehensive about technology in general. It is important that you objectively and subjectively recognize the culture’s abilities and limitations. Question #10 – Do I understand year over year costs? Question 10 stems back to the first series of questions and brings forth additional details based on your answers to questions 7 and 8. Take your financial model further and represent the option of cloud, option of open source or proprietary and lay out the cost elements of each. You will most likely see a great variance between each and across the years. What you most likely will see that the 3 year total may be very similar for each. In that perspective, depending on your choice, one option may have you saving money upfront and normalize costs over time or another may have you making a large cash outlay in the first year and less in the out years. 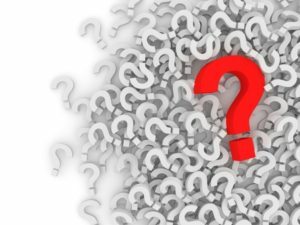 Question #11 – Do I know what I don’t know? Next, let us bring forward something I have previously mentioned several times. Ask away and ensure you begin to fill the gap of what you don’t know and accumulate information so you do indeed know what you don’t know and what you need to know. Document the questions and gap you come up with. Share those questions with the vendors you are talking to and have them answer the questions. If you aren’t satisfied with their answers, ask the questions again. You are spending a lot of money, it is a critical decision and it has an impact on your business. Conduct the due diligence to your satisfaction, not theirs (vendors), and recognize the impact that not asking a question could have. Question #12 – Who do I need to help me? Similar to questions and identifying gaps is the recognition of who you may need to help you. As I shared in the second blog post of this series, we often guide businesses through the entire process. Helping them know what they don’t know, managing the vendors and their responses and generating English and business correlation out of technical jargon. Don’t be afraid to ask for or seek help. It will pay dividends in the present and the future. Question #13 – What determines the solution’s price? Question #14 – What support or other services are included? Question #15 – What is the warranty or guarantee? Question #16 – What are the response times (SLA)? Question #17 – How often are updates released? Question #18 – How flexible is the solution? Question #19 – How does integration work? Question #20 – Can you define security? Question #21 – What data is collected? Questions 13 thru 21 focus in on a variety of specifics. As you already have a matrix created, you can start to add specific solutions to the matrix and bring forward the corresponding answers to the above questions. Price is of course important. Here are a few examples Kathy Sexton raised during the webinar. Translating each to match another is important to comparing and contrasting. As she shows, some may focus in on user amounts, others on a per transaction fee and others require you to well understand the volume, customer numbers and other variables of your business. I would assume you already know the answers as indeed you are running a business. If you don’t, well, it is perhaps a good exercise for you to get to know your business more intimately. 3.99 percent, plus $0.99 per transaction up to $15,000 in revenue per month. 30-day free trial. Professional version is $499 per month, plus $0.35 per customer per month. No free trial. Free demo available. $197 per month. The remainder relate back to system functionality and do indeed need to correlate back to your documented requirements, maps (if you went the visual route) and business objectives. As an example, if you aspire to leverage marketing automation, explore a CDP or even create a DMP, knowing what data is collected, where is resides and how it can be accessed is critical. If you are moving to the cloud, understanding system performance, security, upgrade paths and roadmaps and response times (if the lights go out) documented in a service level agreement (SLA) are also critical. Question #22 – Can you provide references? Question #23 – Do you have partners? Question #24 – What solutions work best with your offerings? Question #25 – What commitments to my success are you willing to make? The remainder (22-25) should result in both discussion and documentation. You want a list of references and the reference list should also include a description of the work or output for each company. A level of detail will help you prioritize the ones you actually want to call and can also help expose for you how a vendor’s solution has matched a business’s needs. The list and detail also gives you some context to aid the creation of questions you want to ask. 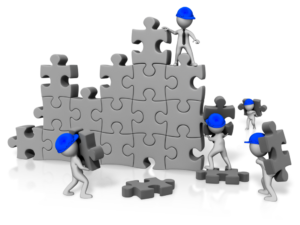 Asking a vendor to further describe the use of their solutions and their own perceived eco-system and corresponding their answers to the actual business implementation type can aid you in determining what other pieces of your puzzle work well with their offering. Don’t limit your research simply to the list they give you, do some of your own research. The list can be a good starting point. The last question seeks to negotiate and document the level of commitment of the vendor. It can be viewed as a two-way street. There are surely items and decisions you are responsible for, can’t deflect, nor drop the ball on if you want things to be successful. A vendor should be willing to take on a level of responsibility and commit contractually to that level of responsibility. Now is not the time to be meek or humble. Stand up for yourself and your company and ensure everyone is committed to a successful implementation. You should discuss options around financial rewards, financially based fines or perhaps even a percentage based revenue share arrangement. This is about you and what you are comfortable doing, what I am suggesting is that you have options to explore. Here are a few follow up questions that may offer some additional detail as you talk to the vendors, document your needs and do your own research. What Payment Gateway and/or Processors are supported? How robust are the administrative tools? Who are they intended for? What tools do they have to support revenue recovery? How well does the solution support multiple languages, currencies, etc.? How robust are the dashboards and reports for analysis? Financial? Retention? Customer Service? Marketing? How robust are the security features? Now lets move on to the rules. The rules bring forward once again elements that you have to account for and which cannot be overlooked. The 6 rules also bring forward elements of formality. Skipping formality of process, particularly with large amounts of money and critical decisions for your business is a mistake. Skip the formality at your own peril. 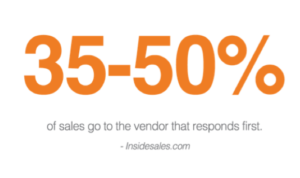 Perhaps you want to be in the 50% of businesses that have Buyer’s Remorse. I would suggest that isn’t where you want to be. Why not invest a bit more time up front and throughout the process to be happy? Have a lot less stress? And watch your business leverage technology, not be controlled or constantly frustrated by it? Only you can answer how you want to wind up, I am here only to suggest that, well, life is short and the market is moving really quickly. 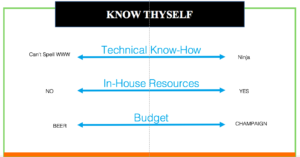 Rule #1 – Document your ideal needs and requirements from a tech vendor, budget, resources and timeline. Rule #2 – Research and interview no less than three vendors. Rule #4 – Ask questions, seek clarification, ask more questions, seek more clarification and ask more questions. Rule #5 – Ensure all necessary detail is documented. Rule #6 – Keep in mind company culture, ability to change and buy-in across all levels with final decision. Moving forward on the formality of the process. I would suggest that the following Baker’s Dozen should be fairly standard to any business relationship, partnership or purchase. Each reflects the needed documentation that well sets your expectations and also demonstrates what they vendor is and isn’t going to do for you (and when they will or wont do it). Some of the Baker’s Dozen have also been reflected in the previous questions and surely, they all relate to the rules we just talked about. Determination of data system of record. Where financial data is, where customer data is etc. Ok, so we have covered a lot of ground. It was a lot of process and framework because indeed you are considering or making a very big decision that will have a BIG impact on your business. We live the process every day working with businesses just like you. We know the importance of the process and of course the framework. Big decisions cant be gut oriented. Big decisions don’t go well if you got sucked in by the Gloss and Glitz. Big Decisions don’t go well if you went with the first sales person to call. Big decisions don’t go well if you don’t follow a process. Good luck. Drop us a line via our contact us page to learn how we can help you.